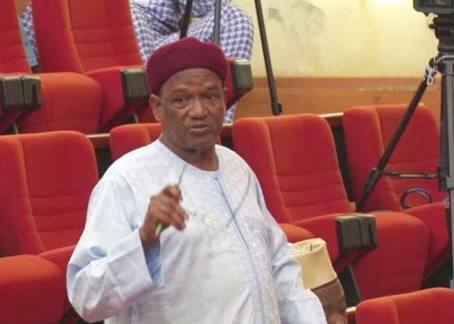 Senator Bukar Abba Ibrahim, an All Progressives Congress (APC) lawmaker from Yobe state has slammed his party, warning that the APC should not assume it can win the 2019 election even with massive rigging. The lawmaker, who said that his dreams and hopes for a progressive nation under APC have been dashed, further warned that the North East should not be taken for granted that it will support the ruling party in 2019. The three term serving senator and former governor of Yobe State dropped the bombshell against his party and President Muhammadu Buhari’s candidature during the world-wide Internet Launch of his book ‘Poorlitics’ and 70th Birthday Celebration held in Abuja at the weekend. He explained the role he played to bring the North East under the APC control, noting that the ruling party has not done what he promised to do, as the present reality shown that APC is not better than the PDP it sought to defeat. Narrating the history of APC and how things have gone bad for the ruling party, Senator Ibrahim said, “the politics of the North East has always been different from the politics of the North West and it was under the APC that we all united for the first time. I began that first move for unity. My co-author, Sam Agha Egwu, kept nagging me about the need to build a progressive coalition against the then very corrupt PDP. I took the matter to my friend Dr. Onu, who was then Chairman of ANPP, the party of the North East. We now reached out to the ACN, CPC and APGA. This finally led to the incredible merger called the APC that went on to defeat the PDP. “When I began this process, I had in mind that progressives will be in power and will show Nigeria how to run a progressive nation. Without mincing words, as an elder statesman, I must say that my dreams and hopes have been dashed. We have certainly not done what I dreamed we will do, and in many ways, we are not better than the PDP that we sought to displace. “As we move towards the elections, I have to give a dire warning to the APC. Things are no longer the way they were in 2015 when we rode to power on a cloud of euphoria believing that things will change. Simply put, things have not changed and many things are worse and the people are bitter. We should not assume that we can win even with massive rigging. “There are just certain things that progressive parties do, and must be seen to do. We must be seen to obey the rule of law. If the courts rule we must obey. We must respect the separation of powers and let the legislature make its independent decisions. The economy has gone down because of our actions and we are blaming the past too much rather than solving the present problems. “I am going to give a dire warning. Let the North East not be taken for granted that we must support APC. Our interest in the North East has always been progressive and I will personally be watching for improvements in the APC. “Improvements that will guarantee us victory such as respecting the rule of law and releasing political prisoners. If we are fighting corruption let us fight every corrupt person and not select people in what may be seen as a one-sided witch hunt. The Yobe Senator, who said he’s not running for elective position, encouraged the youths to read his book “poorlitics” as the contents would guide them to take power from the analogue old politicians. He warned the young people to note that the elders will not give way for then, but added that “you must go out there and take power in the way I did at the age of 42, when I first ran for governor.